We lost our foundation girl, India, at the ripe old age of 10 years and 7 months. She suffered a stroke that paralysed her rear end so we had to make the decision we were dreading but knew would come at some point soon due to her age. 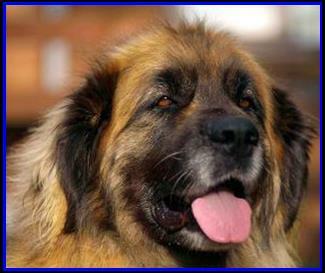 She was our first Leonberger and it is from her that Leonmoor originates. It is her that totally captivated us to this breed and gave us our insatiable appetite for them. She has a lot to answer for! We are extremely grateful to Teresa Beddis, Kjalarnes for allowing us to own our first Leonberger who changed our lives. We have made this ‘India Tribute’ to her long and rewarding life to which Mandy has brilliantly sung the lyrics. She made an impact on everyone that met her. Her tough, strong character which oozed confidence and intelligence. She would always be the first to go up and greet anyone who came to visit and set a precedence for all our youngsters, teaching them all the rules we’d given her. She was equally as giving the other way to her family, treating all members with the greatest respect and love and couldn’t get enough belly rubs. In her lifetime she greeted over 600 visitors to Leonmoor who wanted to see Leonbergers in a natural home environment. It was her that they met first as she was the undisputed Matriarch overseeing all of our other Leos. She taught them how to behave as they naturally followed her lead as she was the eldest and wisest. She was affectionately known as ‘Grumpy Grandma’ as she constantly growled and moaned at the Leo youngsters when they came too boisterous near her. They would respond with multiple licks around her mouth as a respectful greeting which wound her up more and so the cycle continued … all very amusing daily behaviour. The only dog we have known who could grumble breathing in and breathing out, a distinct advantage in the one-upmanship stakes! At her ripe old age, she knew us inside out and did exactly what was required almost without thinking, usually with her ‘talking’ to let us know what was happening whether she liked it or not! In a few words; utterly adorable and irreplaceable. We are all a bit dazed and saddened with her passing as she has been part of our lives for so long. The house is so quiet when the phone rings without her copying each ring with a wolf howl setting the whole pack off! Plus joining in when Mandy was recording a song with high notes! Her life was full and long and she experienced things that many will never see. She conquered many Munro’s in Scotland, relishing the challenge up the long steep slopes. We are glad that she experienced our changeover to the raw meat diet a couple of years ago, as she loved it and it seemed to physically perk her up and take her through more healthy years. Rest in Peace our beautiful India; the Leonberger world has lost one of its most powerful ambassadors and us our most treasured baby girl. Our lives will never be the same without you.